Like photo-realistic art in reverse, these three-dimensional objects are carefully crafted to look like rough-edged, hand-sketched representations. If the approach looks familiar, you might be recalling our previous coverage of work by Daigo Fukawa from the Tokyo University for the Arts. 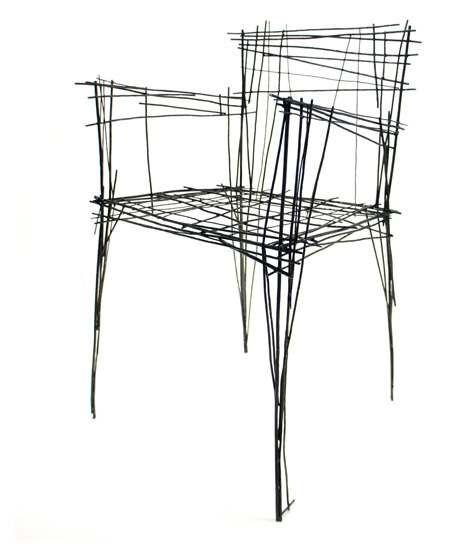 In this series, Jinil Park indeed also with sketches of this chairs, table and lamp set. 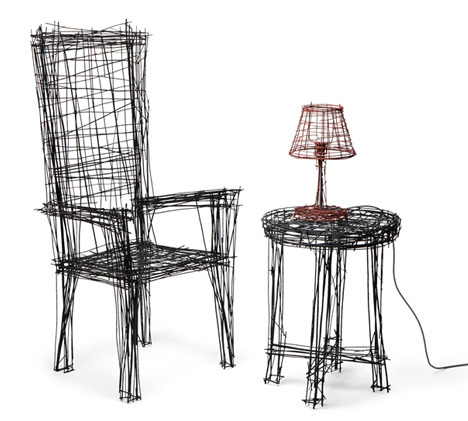 The artist then hammered wires to create variegated metal lines in the air that look convincingly like those one would expect to find where pen meets paper. 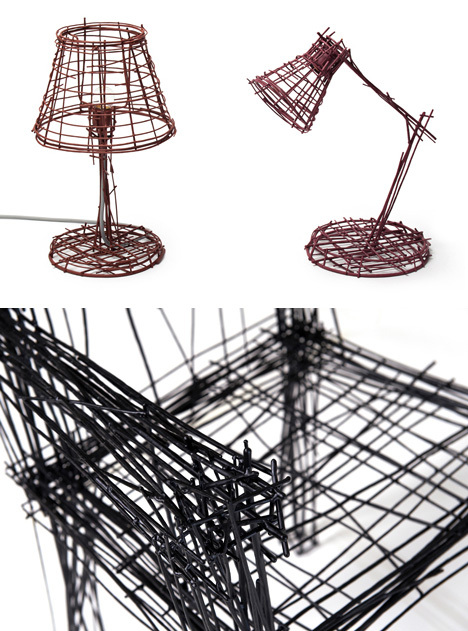 These pieces were then welded together to form the finished products. If the first set seems to have too fine a point on things, you might prefer the subtler work of Maya Selway instead. 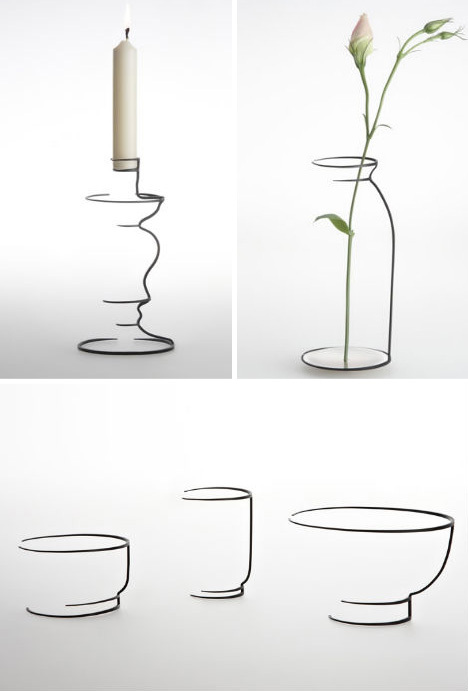 This designer has crafted a series of vessels made to look like minimalist outlines. 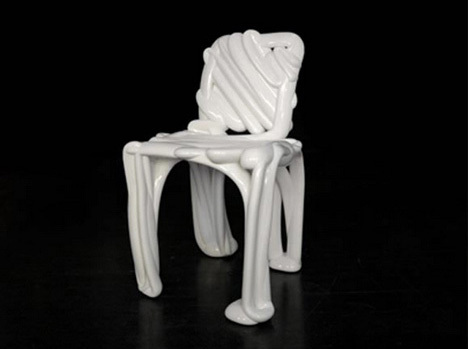 Each piece is perfectly balanced to create the illusion of incompleteness while still being able to stand on its own. 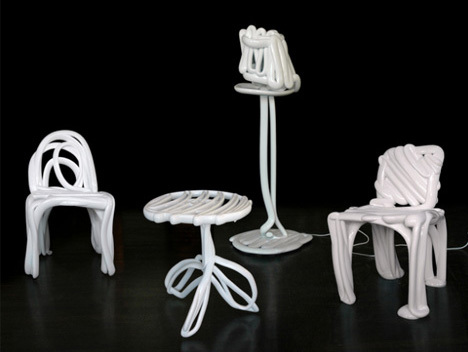 Speaking of the intersection of 2D and 3D, any article would be remiss not to mention the remarkable work of FRONT, a group that takes virtual 2D-captured sketches (drawn by hand in the air) and turns them into 3D-printed models. 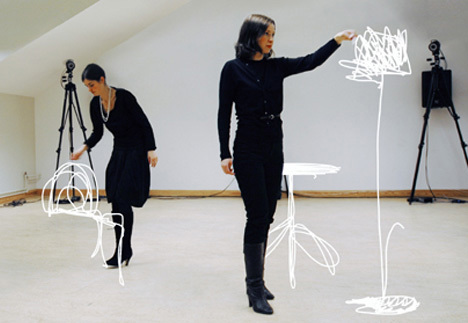 A camera-linked computer program extrapolates the form from the gestures of the designers, then extrudes a corresponding shape with surprising (and increasing) accuracy coupled with a strong touch of whimsy (like a 3D Doodler writ large).